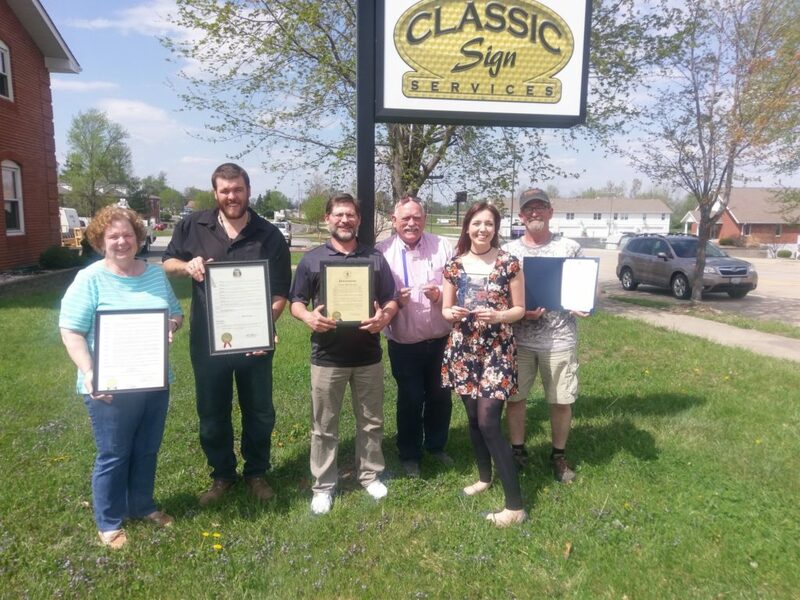 At Classic Sign Services, we don’t just produce the best signs in the greater St. Louis and St. Charles areas, we follow through with every step necessary to get your signs installed and attracting business. Need permits and surveying? Not sure what your city sign codes will allow? We are here to help from concept to installation, and that includes permitting, surveys, and city code adherence. Our project managers oversee the complexities of every part of your sign project, from surveys, recommendations, permits, and sign acquisition to installation and lighting. This will give you more time to focus on growing your business and less worry that your new sign project will be a challenge. As part of our signature project management services, we offer a personal consultation, free estimate, and design and layout assistance for a variety of external and internal signage. We understand the importance that a site survey can play in any sign project. Knowing ahead of time what is involved in getting your sign installed properly can be the difference between a successful project and a nightmare. If you install a sign without knowing the exact boundaries and rules of your community, it could spell extra time and money changing, moving, and redoing your signs. Sign permits are no different. The acquisition of the necessary permits can be one of the most challenging aspects of a sign project. Getting the right permits requires thorough preparation, attention to detail, and a working knowledge of your local sign codes. In any community or municipality that we work in, Classic Sign Services is licensed and bonded. And, because we’ve been in business 18 years, we have in-depth knowledge of over 200 city and municipality sign rules in St. Louis, St. Louis City, St. Charles, Lincoln, Franklin, and Warren Counties. No doubt you are a very busy individual. If you work for a city, school, or municipality, you have extra hurdles involved in getting signs made. City signs, state, and federal signage is something we do often. If you're a business or organization and need new or replacement signs, we can steer you in the right direction from the very start, saving you time, money, and frustration. We have lost count of the number of signs that businesses have had to remake because they didn't have help with permitting, surveys, and city code. Don't make this mistake – we can help you with your sign project from the very beginning and provide correct signage the first time. Our dedicated team promises customer satisfaction from start to finish. We are experts at assisting with variances, permits, and local codes and coordinating the installation of multi-location and franchise projects. We take personal responsibility for the accuracy of your sign project and plan for different scenarios to ensure your every need is accommodated. Our goal is to make your sign project seamless and stress-free.